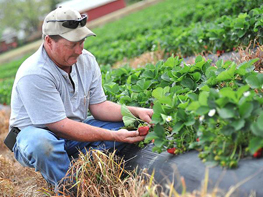 Gross Farms begins the produce season every year in April by opening the gate to the pick-your-own strawberry patch. 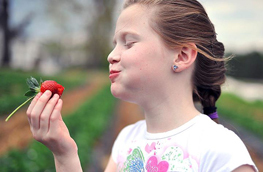 Folks come from near and far to savor the fragrant smell and sweet taste of the red berries. 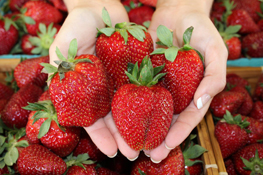 If you're in a hurry but want to purchase fresh strawberries, you may stop in and choose from the abundance of fresh berries picked early each morning. 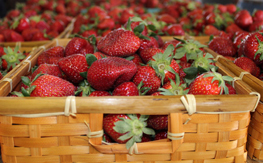 However, if you have some time or take pleasure in selecting "just the right ones" for your occasion, you may grab a bucket and head out to the patch to pick your own. 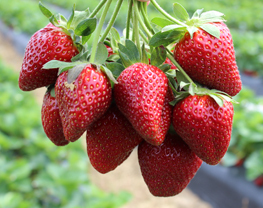 NOTE: For food safety reasons, we regret that we cannot allow dogs or other pets in the strawberry patch or strawberry field. Give us a call at (919) 498-6727 regarding inquiries about specific commodities.